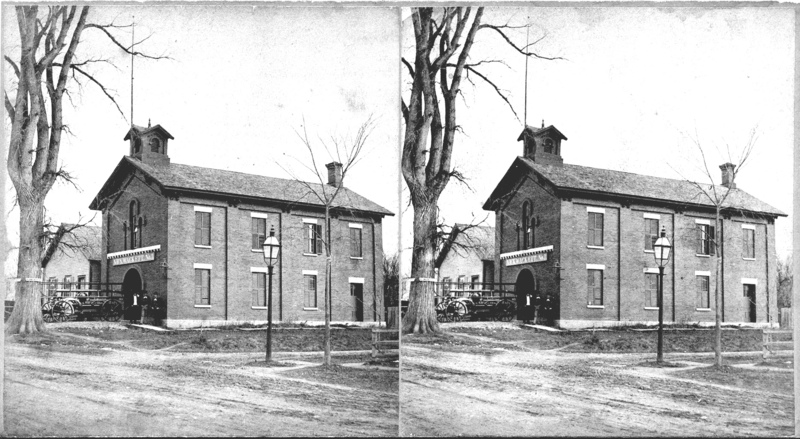 The mission of the Rutland Historical Society is to collect, hold, preserve and interpret historical material relating to the original Town of Rutland which today includes: Proctor, Rutland City, Rutland Town and West Rutland. Interpreting Rutland's history infers an educational sharing with Society members and the general public by whatever activities may accomplish this goal. 1969 - the Rutland Historical Society was founded on August 6th and incorporated on August 19th. 1970 - our Newsletter /Quarterly was founded in October. 1971 - the City of Rutland purchased the small brick church of the Seventh Day Adventists at 101 Center Street for the use of the Society. The building had been built in 1825 as the home of the Bank of Rutland, Rutland’s first bank. 1978 - we produced Rutland in Retrospect, our first book. 1990 - we published Early Families of Rutland, Vermont, a genealogical volume. 1991 - we published the History of Rutland, Vermont 1761-1861, a topical history of Rutland’s first 100 years. 1993 - July 18th, we officially opened our new and current home at 96 Center Street in the old Nickwackett Fire Station that was built in 1860. 1994 - in June, we began publishing a new quarterly newsletter, News From Nickwackett. 1999 - June 10th, Helen Davidson began a weekly newspaper series called “Tidbits From Then And Now” in a local weekly newspaper. 1999 - in June of this year, we began our television series “Historically Speaking” on the Rutland Public Access Channel 15 in Rutland. 2005 - we launched our website in February. 2006 - at the Loyalty Day Parade, "Nickwackett Nick" the RHS mascot was introduced. 2007 - PEGTV awarded us the Romeo Award for our "Historically Speaking" program. 2011 - "History Detectives", a nationally syndicated TV program, came to Rutland to film a program about the gift of a "big stick" to Teddy Roosevelt in Rutland in 1912. The program was primarily filmed at all three levels of our building. 2017 - Ben Burdge and Ray Mooney teamed up to produce a three-part video series entitled "Ray Mooney's Memories".